The corporate and the business division of the Secretary of State of Washington is responsible for registering Corporations, Limited Liability Companies, Limited Companies, Limited Partnerships and Limited Liability Partnerships in the US state of Washington. As a result, the corporations division maintains a registry of all the entities that are registered with the Washington SOS. The database has records of filing and authorization of corporations based in Washington. If you are looking for finding information on business entities that are incorporated in Washington, you have arrived at the right place. The online search tool facilitated by the Secretary of State of Washington lets you search the database for any business entity you want. You need to have either the business name or the UBI number with you to continue the search. Below is a step by step guidelines on how to use the Washington business search tool. 1. The first step is access the Washington business search page by clicking here. The search page looks similar to the screenshot below. 2. 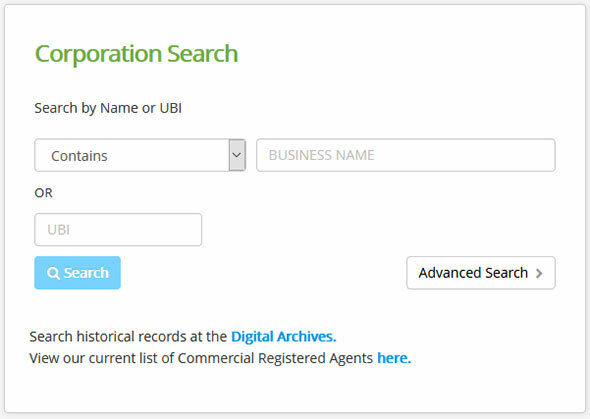 The business search form allows you to search for a business by name or by UBI. If searching by name you can widen or narrow your search by selecting one of the options from the drop down that gives you the option to search business names that contains, has an exact match or starts with. For this example we will be searching by name. Go ahead and type "Ampeg" in the "Business Name" field. Then select the option "Contains" in the drop down field. 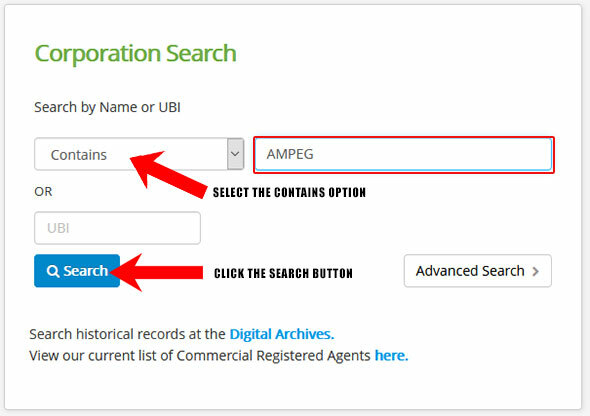 Once you have done that, click the "Search" button as illustrated in the screenshot below. 3. Once you click the "Search" button, it will display a list of results that match your search criteria. It shows the business name, UBI number, business type, office address, agent name and status for each business entity found. 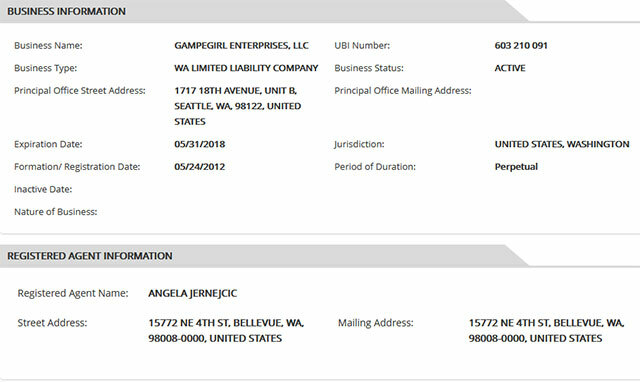 To view details for a business, click the business name as shown in the screenshot below. 4. When you click one of the business names, it will then display the details for that business. This includes the name, business type, street address, expiration date, registration date, UBI number etc. You can refer to it in the screenshot below. One of the elected constitutional officer in Washington, the Secretary of State of Washington is the second in line for succession to the post of Governor in the state. The duties of the post was created in the Article III of the Constitution of Washington. The current Secretary of State of Washington is Kim Wyman. 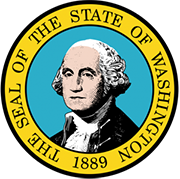 The Secretary of State of Washington acts as the keeper of the Great Seal of the state. Through its regulation, the Secretary of State of Washington authenticates government documents like pardons, commissions and others which require signature of the Governor. The other duties include regulating the actions of the legislation's and executive branches of the government of Washington. He also takes care of public records and archives.